StevenX wrote: So I just got back from my trip to Shanghai and Disneyland. I was really impressed with the park; it's easily the best "new" park Disney has done in a long time, and feels remarkably fleshed-out and full-featured. The whole park really feels well thought-out and like a lot of money has been spent on it. TRON is really fun and very well done; it's the first ride I've been on in a long time that offers a really genuinely new experience and you find yourself grinning the whole time. The attention to detail is great, and some of the individual moments are really impactful (the pre-show room with the frosted glazing turning clear for example). Pirates is also pretty great, and the technology used is really impressive. The omnimover-type boat system works very well, and the huge screens blended in with physical scenery is incredibly well done. Small details like the shifting of the perspective of movie loops on individual screens to match the boat's position are really well done. If anything, the final scene could have been a bit more explosive and had some actual fire effects though. Otherwise, everything else was nicely done - although I've never liked any of the Soaring attractions and still don't like the version here. I've never understood the appeal, but the Chinese seem to be going crazy for it. What's interesting about your report is it seems to be yet another one that is basically "Shanghai Disneyland is all about Pirates & Tron OMG YES!!! And everything is, like, just ok..."
This is sort of my takeaway as well. I liked the park as a whole, thought it was really nicely done, but I came away from it thinking Pirates and Tron OMG!!! And the rest of the park was decent. I have to be honest though, as much as I loved Pirates & Tron, the park as a whole didn't make me feel like I need to hurry back there. I'll go again eventually, and most likely when they open up another big attraction that is equal to Pirates or Tron, but unlike Tokyo Disney where I can keep going back there over and over without anything new being added, it just didn't seem to have that same draw for me. Here's what happens if you open the App right now. Does Shanghai switch to reservation only like Hong Kong does during the new year? I feel like I will have an awful time but since it's one of the few times my school closes and I have a few days off, looking into going in a few years around then when I can afford it. Although I don't think the Chinese take off the same days as Korea for thanksgiving so maybe the 3 day chuseok might be better. ^^Should be interesting to hear how they do for their first big New Year! Does anybody have an idea if they fixed the giant alligator while Roaring Rapids was down for it's refurb? ^This was already an issue when we were there in December. The park is taking steps to prevent it, but it's just so crazy. Yea that has been happening even before the park officially opened. What the CMs are doing now is matching the serial number on the ticket and the FP before guests get into the FP line. But there are tour groups that take back the tickets from clueless group members (usually older people or rural populations) and the tour guides sell their collected tickets to the scalpers to get FP. It's a very frustrating situation and most CMs are not authorized to do anything about it. I reported a line jumping/force entrance from an emergency exit when I was in line for Pirates but the CM can't do anything about it since eye witness isn't enough to get the police officers involved. Go to Shanghai Disney when the crowd level is absolutely minimum, and remember the CM there have the roughest lives. 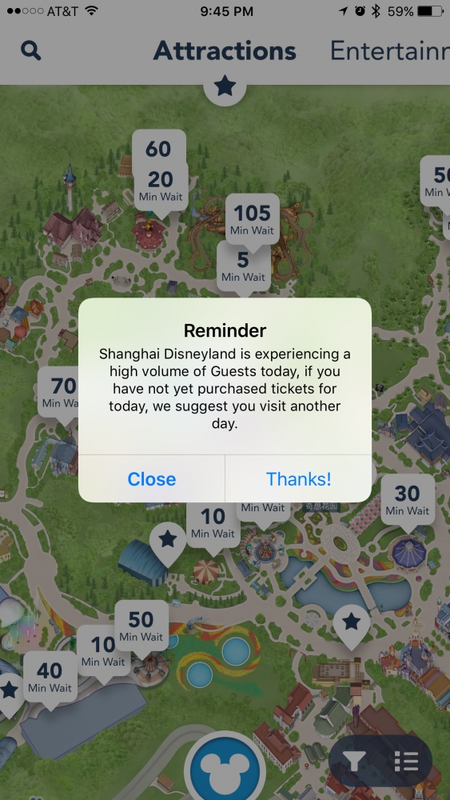 After failing to find a good way to battle the presence of locals sales-people attempting to sell FastPass tickets for profit to guests at Shanghai Disneyland, Disney is simply opting to beat them at their own game and is now selling a Disney Premier Access upgrade pass option to allow guests to skip the lines on up to seven major attractions at the park. You can simply use the program to buy a single pass for about $17 to $21 (depending on how crowded it is that day) or you can buy the whole pack of 7 passes for a price between $70-$88. 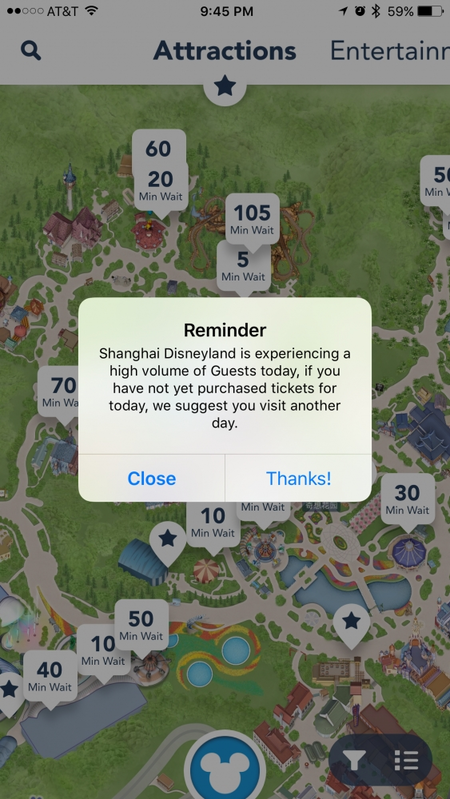 Honestly, I know Disney purists will hate this, but this makes me more interested in visiting Shanghai Disney. I'd probably not pay that for a single pass but for the pack I'd happily pay that much to avoid running around to get popular tickets and one queue free ride on the big hitters where I won't grind my teeth with queue jumpers and other things especially to avoid Soarin's big line. This is just kinda sad, the good suffer due to the bad. The decision that disney had made seems to be a good one at the moment. Maybe this will also cut down some of the standby lines due to the lack of fast pass (or at least a significantly less amount of people will be in those fast pas lines).